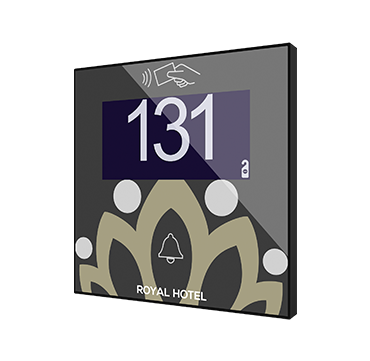 Zennio customizable access controller for hotels identifies guests for room access through NFC card, allowing or denying admission to the room or certain common areas according to their permissions. 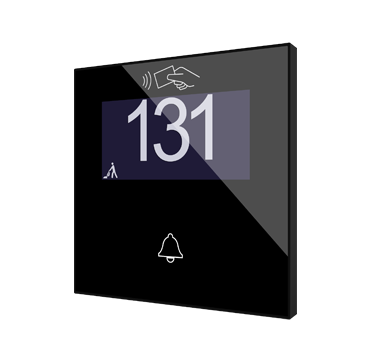 Room number or name can be shown on its 2.4” OLED display, as well as do-not-disturb or make-up-room status and access information in multiple languages. 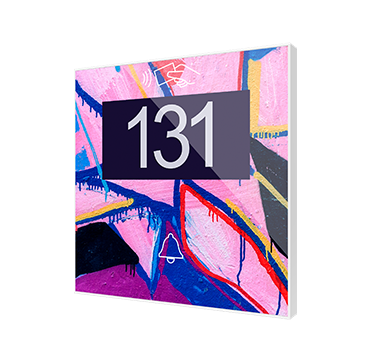 Each hotel can create unique compositions, including images, icons, texts or logos, which are printed on a high-strength tempered glass. 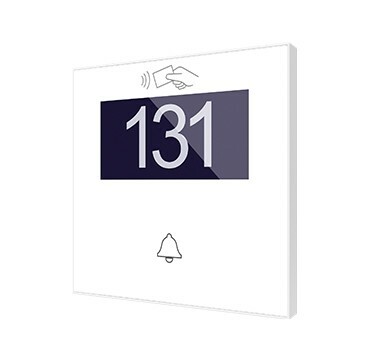 This customization shows or hides up to 3 available buttons which could be used for door bell, corridor lighting control or specific hotel staff functions. In addition, it incorporates 2 analog-digital inputs that may be configured for potential-free sensors and push buttons, temperature probes or motion sensors. Door opening is secured thanks to Securel (ref. ZIO-SEC), an encrypted relay placed inside the room (safe area). Zennio Server required. Available in White/Black standard and customized. Other accessories for the door lock available are Electric strike, Plate for electric strikes, NFC Card Recorder and NFC Cards. 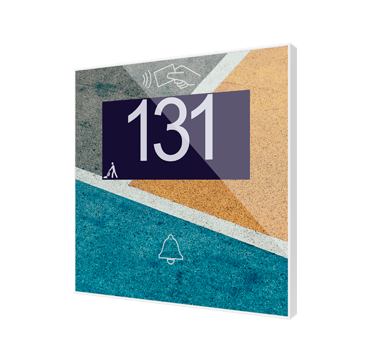 Compatible with cards MIFARE DESFire EV1.